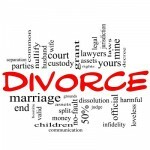 North Georgia Resolution Center | Divorce AlternativesNorth Georgia Resolution Center, LLC. Welcome to North Georgia Resolution Center, LLC. North Georgia Resolution Center, LLC. Map and directions from your location are available by clicking the map tab in the upper right corner of your screen.